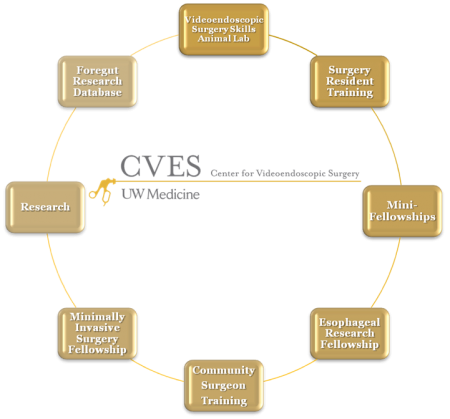 The faculty and staff of CVES have a wealth of experience and expertise in esophageal conditions and surgical treatments. 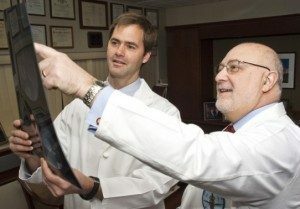 We are committed to investigating the physiology, pathophysiology, and surgical outcomes of the esophagus and its related diseases. Surgery clinic in which we perform both motility (manometry and impedance) and reflux (pH, wireless monitoring, and impedance). Over 1,000 patients are referred to our lab each year, making it one of the highest volume esophageal diagnostic labs in the United States. Many of these patients are further evaluated for surgical intervention at the University of Washington, providing researchers a wealth of data on outcomes of esophageal surgery. Please send website updates, changes and inquiries to surgeditorsOBFUSCATE@uw.edu. Copyright © 2016 University of Washington.